at CHI Bergan Mercy Hospital in Omaha. Mass of Christian Burial Tuesday, May 23, 2017 10:30 A.M.
Hermilio Garcia was born on January 13th, 1961 in Guadalajara, Jalisco to Maria de Los Angeles, his mother that he loved very much.He met his wife, Sofia Ramirez on a Halloween evening in 1985 and proceeded to get married in March of 1986. "We were perfect, no reason to wait any longer." He enjoyed tinkering on cars, playing numerous pranks on his wife and daughters, fishing and gardening. On occasion, he was known to compete with his wife on who could eat the most habaneros, freshly picked from their garden. Also, he was the best cook in the world, he made the best carne asada. 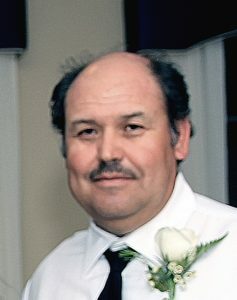 Hermilio is survived by his wife, Sofia Garcia, his daughters Diana Turco and her husband, Matt Turco, Veronica Fichtl and her husband, Jordan Fichtl; two granddaughters Ava and Devaney Fichtl and several nieces and nephews that loved him and saw him as a father. He was preceded by his mother, Maria de los Angeles.